One step in conveying your personality through social media engagement is finding your brand’s voice. If you’re building a bigger brand that involves many people behind the brand, you still need a unifying voice that everyone who posts online for your brand can use. 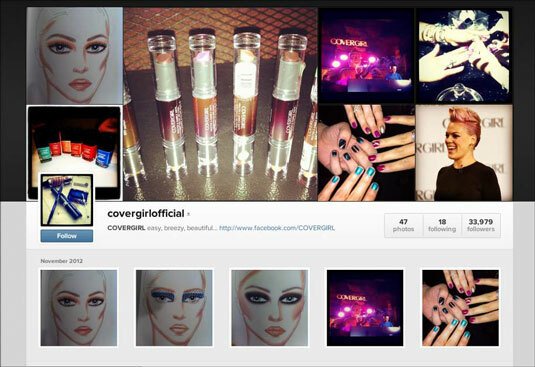 CoverGirl uses Instagram to reveal its unique personality, by showcasing new makeup, trends, and events in keeping with its followers’ expectations. Not every attitude translates well online, and yours may not be perceived the way you intend. If you personally are the brand, be careful about the personality you convey when interacting with others online. There’s a fine line between the quality you’re aiming for and how others might see it. Be careful that you don’t say something that might be perceived in a way other than you intended it. Hi, beautiful. Friendly Fresh Hi, there! or Hi, friend! Do it this way, now! Knowledgeable Know-It-All Here’s an idea. . .
Ha! You’re SO smart! Witty Snarky Well played, friend. Did you see what happened to Sarah in this video? Humorous Mocking Can’t miss fun – have you seen Sarah’s new video?